Whoop, whoop! Over the past few days, I'm almost there! Practically ready to venture out wearing shoes and without a walking stick! So, taking Dudley to the groomers possibly extended thing by two weeks in the end. But, a lesson learned and I won't be doing that one again! - then, with heart in mouth I remembered I needed to stamp the sentiment! So out came the Misti, Memento 'Tuxedo Black' ink pad and the 'Hoppy Easter' sentiment from the set of stamps - phew, success as well! - to give the card more dimension, I backed the front panel with some thin white foam sheet before gluing it to the card front - job done! A set of Clearly Besotted 'Hoppy Easter' stamps, along with matching dies. The carrot and grass dies are very small so I was really careful when making my own card! 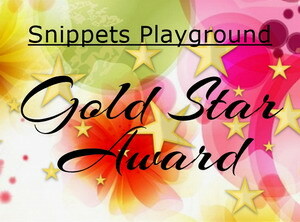 As always, the Snippets Challenge will run for two weeks and the Playground gates will close at 11am UK time on Saturday 30th March. The gates will open again at midnight UK time on the same day. Remember, if you link into the Playground and don't say clearly that you're wanting to be in the draw in a comment on here, then you will be bypassed if your name comes out of Mr Linky. I'm sure you all know I ask for a positive 'yes' on the blog post itself- just in case you're playing only for fun - otherwise I don't add you to my little list. With luck and a following wind (and we have plenty of that in the UK right now) I plan to post off prizes this coming week! It might be too much information but originally I had a slight flare up in my left foot about a week or so before the massive one in the right foot. So it seems like I get a warning but thought I'd knocked it on the head by taking some emergency Colchicine (as much use to me as a chocolate fireguard it seems). One thing I should have done was to cut my toenails as soon as that first one kicked off. However, my lovely Len very carefully and gently trimmed them for me yesterday - and not one squeal from me either! No photo of Dudley this week, he's just as mischievous as ever needless to say. But, he's slowly getting more used to being brushed and groomed by yours truly - and Len sometimes brushes him over if he's lying on the table beside him. And, I'm getting better at putting Dudley's little topknot in as well. Len still has to hold him but sometimes he'll just lie his head down as if to say 'Get on with it Mama!'. The doggie latex bands we use are really tiny, smaller than loom bands if you remember that craze. On my second go at doing the topknot I was struggling and dropped a band onto the table beside Dudley. That boy really is a Hoover - he was onto it right away in a split second, sort of grinned at us when Len was trying to open his mouth, gave one gulp and there it was gone. Looking back. it's funny but of course we were worried - in fact Len was almost dangling the little chap by his back legs! Needless to say, nature took its course and he's just fine - little tinker! And lastly, recent events around the World, NZ in particular, have totally shaken us here. Senseless and such a waste of precious life - I really have no words to express how very sad it is. So glad that you are well now! Your Easter card is delightful, so sweet and cute!! Fabulous colours, love the striped panel and the super cute bunny!!! Yes please for the fabulous prize!! Morning and Happy St Patricks Day - delighted to hear of the improvement to your health - here's hoping that continues. Also pleased to read that there were no unpleasant repercussions from Dudley's disappearing act (of the latex band) - pheww! Dudley sounds such a character Di - I call my cat Tinker for the very reason he was into so much mischief as a kitten. So glad to hear you are getting better... it's hard being inactive!! Thank you for your kind words regarding the catastrophe here in NZ. I am nowhere near Christchurch, but the whole nation is shaken by the tragedy, and we are collectively grieving. We are a small nation by world standings, but we have over 200 nationalities here speaking 160 languages, and acceptance of diversity is the normal, so this is so shocking! I'm pleased to hear you're making good progress Di. This is such a cute card and I would love a chance to win the prize, please. Really lovely creation, so sweet and a great design and colours. Playing for fun. Glad to hear that you are improving and nearly back on your feet once more. thats so very sweet card! I add my project and Iwould like to be in draw for the prize. I can only imagine the pain you've been having, but hopefully things are on the mend now and will steadily improve each and every day! Sweet Dudley, gobbling up the fur ties - what a little dickens he is :) Glad everything came out OK in the end - literally! LOL Love your sweet little Easter card with those cute eggs and darling bunny, but I'm playing just for fun this week! 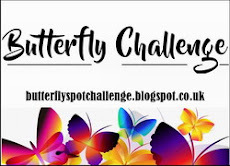 Thanks for another great snippets challenge! Hi Di, I'm new to your playground although I have been admiring it from a distance. Not sure what I'm doing wrong but I'm having trouble linking up. When I click on Next I enter my thumbnail and then click on Done. But the card doesn't appear in the linky list. Yes please to the prize, I love what you have done with that set! Glad to hear things are improving on the foot front BUT I hope you had your fingers crossed behind your back while you were typing those words! I am happy to read that your foot is healing nicely. It has been too long that you suffered with this and I imagine you are pleased to finally get out and about with shoes and no walking stick. Please take it easy and don't overdo it. Your card is absolutely adorable! 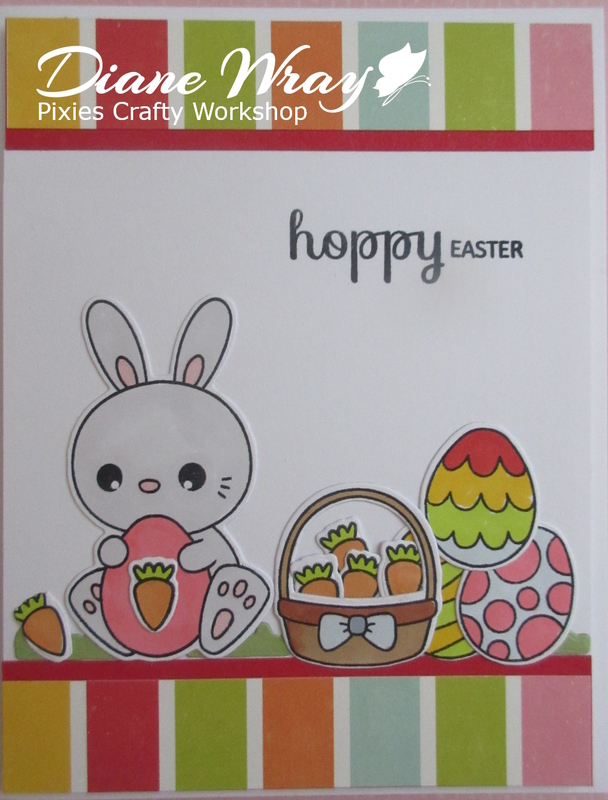 It's perfect for spring and Easter with these cute images and papers! I hope to be back to join in the playground fun and I'll be a YES for the prize! Keep healing, dear Di! Yes, the hate is mind boggling & horrific making me so sad. So very happy you're continuing to improve. Take it easy, though--not worth a setback! Pups are such a kick. They do almost talk with their looks, that's for sure! I'm totally in love with this card, Di--so happy & adorable! Love the striped paper & how you arranged the images! I know I just won, but I'm short on Easter supplies so will put my name in the hat & it's up to Mr Random! Why do we have to learn lessons the hard way sometimes? Glad to hear you're getting on a bit better. Your card was worth waiting two days. It's really cute. What a great card. Yes please for the price. Di, your card is adorable and I love how you matched your coloring to those wonderful background stripes. So cute. I'd also love to add that stamp/die combo to my collection. So... yes please to the prize. Super cute card - I just love those carrots! Well this sweet Easter card would make anyone feel better I'd think, so I'm glad to hear that you are on your way! 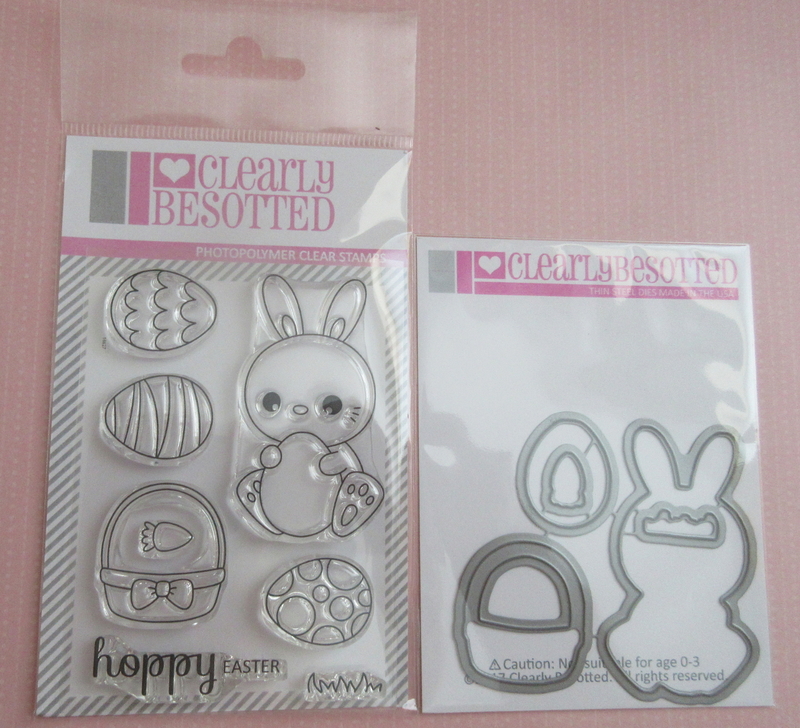 Yes please to the stamp and die set...which would make the cutest Easter and spring projects. Awww, that little Dudley is such a rascal and I can just imagine him gobbling up that rubber band before you could get to him. Puppies are such a handful in their first year or two, but we do love them, don't we? So pleased to hear you're much better Di, it's been a long time coming for you. Your Easter card is so cute, and I would love to be entered into the draw please, thank you. 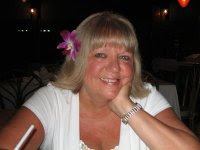 So glad to hear you're on the mend, Di. Being "grounded" and unable to maintain one's usual routine is miserable. Adorable card! Love the bunny. :-D I'm playing just for fun this time. Good to see you're on the mend. Please don't overdo things, I don't want you getting re-injured. I'm a yes for the prize. Will get mine done as soon as my body lets me. YEAH! Do glad you are doing better! And I LOVE your Easter Card!!! I'm going to jump on that bandwagon with my card! MORE BUNNY CUTENESS! I would LOVE this set! I love Clearly Besotted and I only have one of their stamp sets! Glad to hear that you're nearer to getting out an about. Yup, I love bunnies and make Easter cards for my grands even though they are all teenagers now! Yes, I'd like to enter this challenge and be chosen for the great prize!! Firstly, no thanks to prize Di .. cute though and really live your card. Don't feel bad taking two days to make it. My current one took me three squashed in with lots of other things! Am glad you're slowly picking up and long may it continue. I'm finally making another card. Must get my skates on and make a six year olds! No ideas here though?? Oh dear better think fast look on Pinterest etc . Special summery hug for the warm furry bundle.. been lots of swimming here.. he'd love that!?? Your Easter card is just too cute. I often make a card over a number of days, and often have pieces of more than one card out on my desk. I hope you are feeling better each day and will be able to get out soon! I would love to play for the prize, why not put my name into the hat. Have a good day! This is sooooo cute!!! Clearly Besotted stamps are always adorable and this one is no exception. So glad to hear you are on the mend; hope it continues. I will be playing just for fun this time, thanks! Hi Di, I hope you are doing very well. Your card is so cute! Love the Easter card! Yes, please! Thank you for wonderful chance! Glad to hear you are feeling better now! Your Easter card is so adorable Di! Count me in for this cute set! It's so good that you are feeling better!! My favorite season has started: spring. Yeah!! I like making easter- and springcards and yours is so nice. And I say Yes to the prize because it's so cute. So good to hear that you're feeling better! Love the easter card, this bunny is sooooo cute!!!! Hi Miss Di, the lovely Parsnip, and cutie Dudley. Oh how I love your super card and the design is fantastic. Such a very cute Bunny and Easter scene too it's so spring like and very pretty. Your creations always are so perfectly crafted. So glad things are begining to improve with your feet. Love the quote of the chocolate fireguard that tickled me so and made giggle. At last I've managed a snippets card this time - later than normal. Playing just for fun. Pleased to hear that you are continuing to return to normal, hopefully you will still take things a bit easy when you can. So pleased to see you are improving and able to get about. 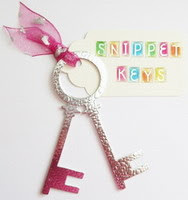 Love your snippets card so cute and yes please for a chance of the prize. Wow, amazinga card Di with such a cute image. Absolutely adorable card, Di!! Hopefully, you continue to improve and are back to normal soon!!! Awww...your card is super cute Di! Such a darling card using this super sweet set. I'd love to play for the prize, thanks, Di!! Looks like the Easter Bunny is on her way to being ready to hide those eggs! An adorable card, Di! I'm skipping in for fun. Oh, so glad you are feeling considerably better. Praying your recovery will be complete very soon. Your little Easter card is the sweetest thing!! Love the pretty spring colors and that little bunny. Playing JUST FOR FUN this time. Thank you, Di. Oh Di, your card is adorable! Love the colours you've used too, perfect for spring. Yes please to going into the hat. Cutest Easter card ever, and I'm so happy to hear that you're feeling better Di. I managed to squeeze in one card this week so yes please to the prize! I hope everyday brings you more healing. Thanks for the inspiration and chance to win. I'm a YES for the prize. Such a cute card. I really like how you used the striped snippets. I wouldn't normally want such a gold stripe, but the small amount you used is perfect. oh my goodness where is the year going with Easter almost upon us and here in Australia the first term school break in 10 days. You're sounding much better Di, so hope your foot is still improving... great card and hugs for the cute Dudley. This time I have written my blog in German instead of English, but I think you will understand. Yes please, I would like to take place in the draw. such a super sweet card and yes for the prize, please. Your card is so cute and colorful. Im playing for fun.